.Beautiful In My Way. : Follow me on Chicismo!!! Few days ago I decided to join in Chicisimo, and I've tried to find some of you, but I failed so, my dear readers, I've thought to ask you directly this is my link to Chicisimo, if you want we could follow each other even there! Non lo conosco...io sono su twitter e pinterest...se vuoi!! Ciao!!!! Certo ti cerco subito.. Trovami anche tu!!!! ma mi ero inscritta pero poi non l'ho più guardato tanto ora lo riprendo in considerazione appena ho un minuto, e ti cerco!! ciao! mi trovi a questo link: http://chicisimo.it/fashionista/sweetvanilla/ buona serata! 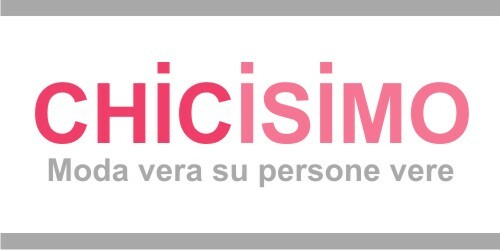 We don't have a chicisimo account yet, but if we ever get on it we'll sure follow you. Ti seguo anche i, spero ricambierai cara! I have thought about joining this. I really should get on it! ti seguo su gcf, facebook e bloglovin. Su chicissimo mi trovi come Nicolete Buru (cerca su top).